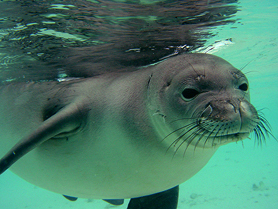 The Mediterranean Monk Seal is the most important mammalian species living in Northern Sporades. It has the unfortunate distinction of being one of Europe's most endangered species with only around 800 surviving world-wide. One of the most important populations in Mediterranean Sea (probably more then 60 individuals) lives in Alonnissos National Park, thus indicating the good condition of its marine environment. It uses the island of Piperi for its breeding ground and hence the island is protected by an exclusion zone of 3 nautical miles. The Shag (Phalacrocorax aristotelis) is an exclusively marine bird, nesting on rocky coasts and rarely wandering in land or even muddy or sandy shores. 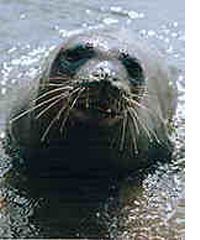 It dives deep in the sea to catch fishes, its exclusive diet. It can be found year round in Northern Sporades. The Shag is very sensitive to man's presence and particularly susceptible to marine pollution. 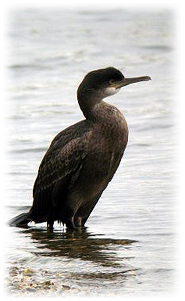 They are listed the Shag as vulnerable. . 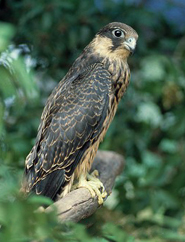 In the summer the Eleonora's Falcon migrates from Madagascar to the Northern Sporades. The marine park provides them with good refuge. 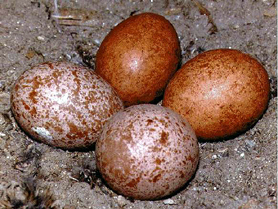 They make their nests on cliffs and rocks, laying two or three eggs during August. These birds face many dangers: during their fall migration to the shores of Eastern Africa many are shot. Tourists disturb their nests forcing the frightened birds to abandon them leaving their eggs unguarded. 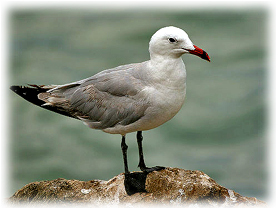 Audouin's Gull is one of the endangered species of sea birds. It nests in colonies on small, uninhabited, flat and usually rocky islands. 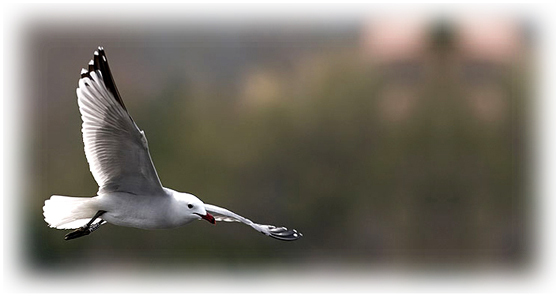 The Audouin's Gull nests only in the Mediterranean, mainly in its western part but also in the Aegean. Its total population reaches 8000 pairs and it is estimated that Greece hosts about 40 pairs, with 90% of these nesting in the Park. Besides providing a last refuge for endangered monk seal, the Marine Park is also home to the threatened and endangered Bonelli's Eagles. 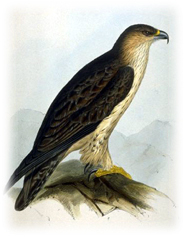 The Bonelli's Eagle is a small to medium - sized eagle at 55–65 cm in length. 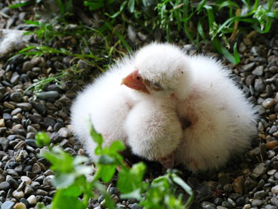 It is usually a resident breeder which lays 1-3 eggs in a tree or crag nest. The Bonelli's Eagle takes a wide range of live prey, all taken alive. It usually hunts from cover by a quick dash from inside a tree, but it will also catch prey by quartering hill slopes like other eagles, or make a stoop from a soaring position. Most prey is taken on the ground. The Wild Goat of Gioura is endemic to the island of Gioura and lives on rocky hills. It is related to the Cretan Wild Goat but is larger and heavier and the horns are curled. 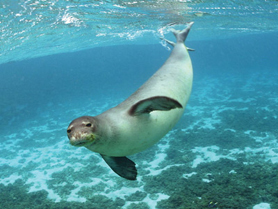 It is on the verge of extinction so Greek Authorities have launched a special program to study and protect it. Underwater fauna is also varied, with many benthic and fish species. Various species of dolphins and some whale species may be seen in the region, such as the common dolphin, the striped dolphin, the bottlenose dolphin, the long-finned pilot whale, the sperm whale and the cuvier’s beaked whale.